Disclaimer: I know this stuff looks really gross. It did not photograph well, and I was too much in a hurry to eat it to take a lot of time with the pictures. Naughty, naughty, I know, but cut me some slack: I was probably rushing to get out the door to my other job. it’s allergy friendly (gluten/dairy/egg/nut free). it’s hot and comforting, but it’s not oatmeal (which may or may not be a good thing, depending on how much you like oatmeal…or how much oatmeal you’ve been eating recently). it’s customizable! You could make this many different flavors if you like. I’ll be honest: this stuff looks like slime. The flax really gels it together. But it’s good, and it’s simple, and it’s hot. I like it, and I think you might, too. I recommend adding some protein on the side…like BACON. So many of you have told me about add-ins and toppings you’ve tried. Go you! 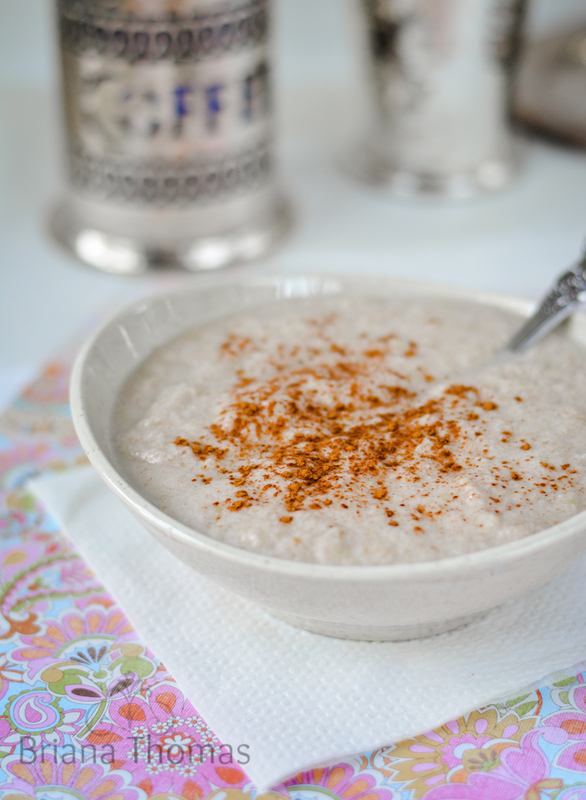 This porridge lends itself to tweaking, transforming it from something basic into something extraordinary. Try adding cocoa powder (and maybe some more sweetener) for a chocolate version. Top it with blueberries, raspberries, blackberries, or strawberries. Add chia seeds or chopped nuts on top for crunch. Add extracts and spices to mimic your favorite cookie. The possibilities are endless! If you try this recipe and find the perfect way to do it, I’d love to hear about it in the comments! Feel free to make this in different flavors as long as you don't add any carb sources. So many of you have said that this recipe turns out great for you as written, but some say that it stays soupy. I've never had that happen personally, but I wonder if certain brands of coconut flour and/or flaxmeal gel better than others. 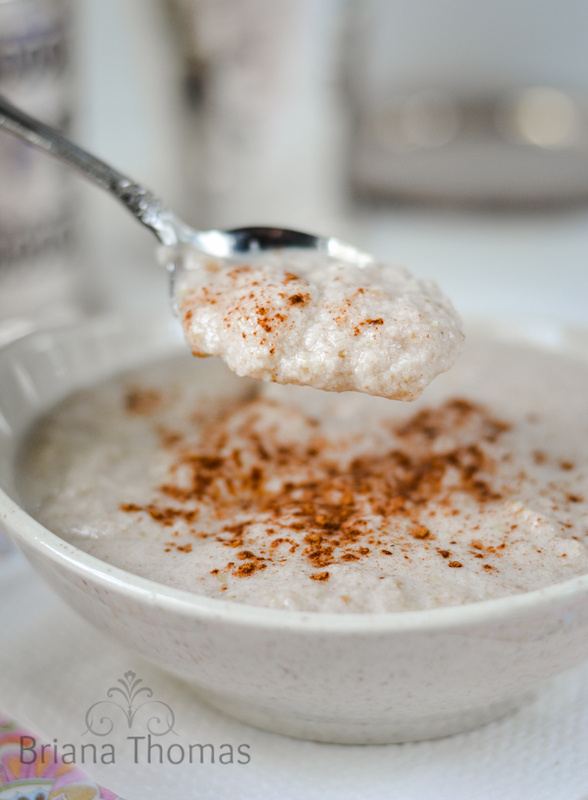 If your porridge is soupy, try 1) cooking it longer, 2) add a tablespoon or two of coconut flour, or 3) use less liquid next time. « A Healthy Ice Cream Roundup for National Ice Cream Month! This recipe has become one of my favorite detox breakfasts! I made a peanut butter cookie variation by adding 1tsp of vanilla extract and 2TBS of Peanut Flour instead of the cinnamon. I always cut back on the liquid by doing about 1/4c less. It’s so good! Thanks for another great recipe Briana! I had to zap this for 5 min. extra. Don’t know why, but it could be my microwave which we’ve had for 32 years! It still works great! I subbed about a t. Of Super Sweet for the Stevia and threw in less than a 1/2 c. frozen blueberries after it was cooked. Very yummy. Without the blueberries, could this be considered Deep S? It could be a less powerful microwave, or as I mentioned in the post above, maybe some brands of coconut flour or flaxmeal don’t soak up as much liquid. 🙂 You can cook longer as you did, or you could decrease the liquid/increase the flour next time and maybe that would help! I’m so glad you liked it! I’m afraid this isn’t Deep S due to the coconut flour and flaxmeal. Thank you Briana. I make it for myself now and than. I love hot cereals. I love oatmeal but it raises my BS so had to give it up. Love all your recipes. Is this safe for kids to eat? My 3yr old grandson has trouble pooping? I follow THM… Also Im prediabetic is this ok to get reguarly for breakfast? I’m afraid I’m not sure what to tell you! I’m sorry you had trouble with it! The coconut flour and golden flaxmeal are the gelling agents, so if you used the correct amounts of those I’m not sure what would have gone wrong. Depending on the strength of your microwave you may need to nuke it a little longer. I made this and followed directions exactly. It was a liquidy mess. I needed a straw to drink it with. Poured it down the drain. Sorry. The same thing happened to me. I tried cooking it longer and nothing changed. So I added another 1/8 cup coconut flour after cooking and just stirred it in good and it was perfect. That’s interesting! I wonder if certain brands of coconut flour and flaxmeal soak up more liquid than others. I’m glad it was an easy fix! I’ve been meaning to try this recipe for a while. To be honest, your comment about it looking like slime held me back! But, this morning, I ended up with a morning by myself so I gave it a whirl. I really liked it! I added a little cocoa and 1 T of defatted peanut flour. Yum! Thanks for the idea! Wow, so delicious! Perfect on a cold morning. I added maple extract and topped with strawberries and a little more almond milk. This will be in regular rotation. Thanks for all your wonderful recipes. I was amazed at how much this tasted like cream of wheat! Very yummy! I ate half plain and added a few frozen berries and a tsp of baobab to the last half, both were good. Thanks for a great recipe! I may try with less flax next time ( I don’t like how flax affects estrogen). ? I also added a scoop of collagen. ? Just saw this recipe over the weekend and decided to give it a try. It turned out well. Definitely has a cream of wheat texture. Maybe my husband will eat it… He doesn’t like oatmeal. I cooked the porridge on the stove and added a half scoop protein powder and a swirl of cream at the end. I also ended up using 3 teaspoons of my own version of gentle sweet instead of stevia. Now I wait to see how it affects the rest of me! I finally made this back before Thanksgiving and again this week. It was AMAZING! I cooked it on the stovetop instead of the microwave and it turned out perfect. It was so very creamy and had a buttery taste. Oh, Yum!!! I have been suggesting it to some friends. If you have not made it yet, you must!!! This is so good! I LOVE the texture! I made modifications, I did everything as the recipe said except I put in less than a T of brown sugar Splenda (instead of normal stevia) and I added a splash of sugar free natural pumpkin flavored creamer, I used pumpkin seasoning instead of cinnamon and only put in 3/4 cup water. Delicious! I will make this again the way you wrote it, I just happened to be in the pumpkin mood this morning! I love the texture and it’s so filling! Those sound like yummy tweaks! In hindsight, I think it would have been better if I didn’t add the creamer. Creamer added carbs – which was the whole reason I tried this recipe was b/c it was low carb so I don’t suggest adding any milk or creamer product if you want to keep the carbs low – oops! I’m looking forward to trying this again without adding that! It was fantastic, My new morning jam!!! I added unsweetened coconut, strawberries and a quarter banana and was full till dinner. Thanks for another amazing recipe!! I’m so glad you liked it, Heidi! If you’re following the Trim Healthy Mama plan like a lot of my readers do, I recommend skipping the banana so you don’t combine fats and carbs and create a fuel collision, but if you’re not concerned about weight loss, that’s a wonderful addition! Trying this for the first time and it is wonderful! Like the idea of adding cocao because I, too, love Cocoa Wheats! It has everything you could hope for…great taste, quick and easy, and very satisfying!! Can’t wait to try it with cocao. Thank you, Briana, for another winner!! ??? I was looking for a “clean” start for next week so thought this would fit the bill. I paired it with the Velvety Autumn Sip adding the rest of the scoop of protein powder to the porridge. For some reason, the porridge was super thin. Maybe the brand of coconut flour? My daughter and I thought maybe some ground Chia seeds might thicken it a bit and add some crunch. Thanks for all the awesome recipes! That’s weird! Your guess is as good as mine! The chia seeds sound like a great idea. Can you substitute flaxseed meal for the ground golden flax or are they the same? I absolutely love this porridge! I added some pumpkin spice with the cinnamon. This is my new breakfast treat. I calculated 6 net carbs so it’s definitely a win! Thank you for your wonderful recipes! All that I tried were wonderful! Also, if I want to add THM Pristine Whey Powder, how much can I add, and when do I add it? During cooking ( I will be using stovetop), or after it’s done cooking? Hi Maria! Sure, you can use more almond milk instead of water for a creamier result. I just like to cut corners where possible. 🙂 You can add as much protein powder as you like, but I’d stick with a few tablespoons because you really wouldn’t need more than that for protein and if you add too much, you’ll probably taste it. I would whisk it in after cooking. Hey sweetie. I love your site and pictures (and music) I have had an allergic reaction to oatmeal so I am excited to try this. In answer to your question, I get discouraged seeing so many recipes that look great but contain oatmeal (or eggs, or dairy or tree nuts). I am also allergic to all the on plan sweetners… So THANK YOU and God bless you! Hi – I’m really enjoying your website & am trying the detox porridge for the first time. It seems a lot like flour & water…very hard to swallow. I don’t mind the taste, I’m not good w/ the ‘grittiness’ of it. Thoughts? I will try to cook it a little longer. Thanks for all your wisdom! Hmm…I really don’t know what to tell you! It’s quite soft for me. Cooking longer may help, and add some more liquid if it seems to be too thick. What kind of coconut flour are you using? Maybe the brand makes a difference? I ususally buy BetterBody brand from Sam’s Club. OK…I FINALLY tried this over the weekend…I commented a LONG time ago asking for a substitute for Coconut flour… let me just start off with I don’t like the taste, smell or flavor of coconut – but I tried it anyway and boy was I surprised!!! I will have to get use to the texture 🙂 and I probably used too much sweetener but it was delicious and I can definitely see eating this in the morning. I’m not sure if I did something wrong to mix it but I ended up putting some of this in the bullet to smooth out my lumps. I think I will add chopped cinnamon nuts next time (tomorrow) to help the creamy texture. Thanks Briana once again you made my day!! Sorry i didn’t record my stars the first time!!! Wanted something different for breakfast. I’m not a cream of wheat girl so the texture was different for me to get used to. Browsed the comments and added the cocoa powder, which is exactly what it needed for my palate. 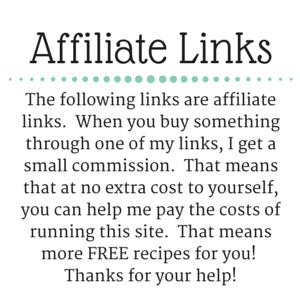 Awesome – I’m glad you made it work! I was searching for something other than oatmeal, Thank you. I have a really dumb question actually…where’s the oatmeal in the recipe? Do I cook that up separately and add this mixture to it? (I told you it was a dumb question). Also, you recommended adding protein to it, which I understand from Pearl & Serene that’s a must with every meal. But I was wondering if adding some great lakes gelatin (the green can) would work to account for the protein? Don’t get me wrong, I LOVE bacon!! I just love quick simple meals even better then bacon! So if I can eliminate a step, I will!! Anyway thanks Briana for all your posts, recipes and such. I find them very helpful! And I am eagerly awaiting that upcoming cookbook!! Any suggestions for a substitution for the flax? Could you make it without? I have a friend whose daughter has a chronic intestinal disease and cannot have flax. She is looking for new breakfast options. I immediately thought of your detox porridge, but forgot it had it… She cannot have any grains either. Thanks for this recipe. I subbed ground chia since I am allergic to flax. also did it on the stove top since I don’t microwave. I also added some collagen for protein. Needed some additional ideas for breakfast since I am also allergic to eggs and quite a few other items. This fit the bill. I’m glad it worked for you! Way to make it your own. I love your recipes, thank you for all your work!! Can we add THM Collagen to this porridge? I don’t see why not! That would be a great way to add protein. Mine came out completely watery, like I could easily drink it with a straw! It seems like an awful lot of liquid (1 1/2 cups not even counting the coconut oil that melts) to not even 1/2 cup of dry ingredients . . . ? Am I not reading this right? Did you make any substitutions? Coconut flour soaks up a LOT of liquid, and flaxmeal serves as a thickener, so those amounts are right. I’m afraid I haven’t had any problems with it as written, and I’ve received a lot of good reviews on it. I’m sorry it didn’t turn out for you. Yum! I am eating this right now and I love it!! I had my doubts, but it really DOES taste like cream of wheat! I added half a scoop THM protein powder and used only 2 donks of stevia powder and later added more almond milk and truvia. Thank you for this recipe! It’s nice to have an S option that tastes like a grain! So delicious. I have been wanting to make this for awhile now. Today was the day. I added a dash of butter extract for a buttery taste and I left the flax seeds whole. It thickened up nicely and was perfect for my sweet tooth actually. I miss Cream of Wheat and Cream of Rice and this is a nice substitute. THM for life! I am down 26lbs in 3 months. 🙂 Dash of nutmeg is really nice in it too! Oh my heavens! Why have I not made this before? Such a tummy warming, amazingly tasty warm cereal. I added a scoop of whey protein powder (THM Pristine), and swirled in a TBS or 2 of home made raspberry syrup from Gwen’s Nest. After 2.5 years on THM, I had gotten a bit off track. Too many heavy S’s, not observing the 3 hour rule like I should. Too many intentional crossovers. I have started the 100 Day Challenge and am going to share this recipe over there now. I’m so glad you enjoyed it! Thanks for sharing. I bet that raspberry syrup was great with it! I have been enjoying this for breakfast on cold mornings. I started adding about a half tablespoon of cocoa powder, and it tastes quite a lot like Cocoa Wheats, my favorite (Michigan/Indiana) breakfast on cold mornings as a kid. Thanks for this great breakfast! Ooh I loved cocoa wheats as a kid! I’m excited to try this out! I loved that as a child. Would using regular dairy milk be just as effective? Money – wise buying a gallon of milk to use for whatever I need is more logical at the moment. Would it raise the carbs too much? I’m not familiar with almond milk or coconut milk. Regular non-cultured cow’s milk is not on plan for Trim Healthy Mama, which is the healthy eating lifestyle that most of my readers follow. I don’t know if you’re on THM or not, but if you are, yes, regular milk would not be an acceptable sub in this recipe due to the carbs (and type of carbs) involved. That being said, you have to work with what you can afford. I highly recommend buying some unsweetened almond milk (Aldi carries it for not a bad price), but if you can’t, you’ve got to do what you’ve got to do. Do I HAVE to do an additional protein? I’m getting ready to do my first fuel cycle. Would this be a good breakfast option for deep S days and can I add whey protein to it? Briana, your detox portage sounds good and had alot of nice replys. I do not fellow to many, but you said God changed your music taste and you liked sacred choral music pulled me in. I am fairly new low carb diet person. My husband is diabetic, so I know it is good for him. Thank you for the recipe. I will give it a try and then rate it ok? Thanks for the recipe! I love it! At this time of year, here in Canada, it is getting a little cold to do morning smoothies, so I was looking for a warm breakfast recipe. No need to look further! This is my new favourite and just what I need for these chilly mornings. I mixed up a larger batch of the dry ingredients, and added protein powder. Now I have a super quick morning option. That’s a great idea to mix it up ahead of time! Can this be made without the coconut oil or is that a crucial ingredient in the detox? Briana, I am trying this this morning and enjoying it very much! It is very cream of wheat like! I love a hot cooked cereal in the morning. It’s nice to have an S option. Time will tell about the detoxing effect ? Haha….I’m glad you like it! Briana, if I don’t use a microwave, how do I make it on the stove? I would whisk it all together in a small saucepan and cook till thick and heated through. Julie, did you try the stove method? We don’t use a microwave either and I’ve been craving Cream of Wheat. Thanks! Could I use THM baking blend instead of coconut flour? I’m not familiar with your terminology, Ellie. Could you clarify? The nutritional values is what she’s looking for … do you have that handy? How would I change the flavor? Add flavorings, berries, defatted peanut flour…anything you like. If you want to keep this low-carb (and an S for Trim Healthy Mamas), obviously only add low-carb ingredients. can I grind shredded coconut to make coconut powder? for some reason coconut powder is hard to find here but shredded coconut is easy to find. As this says detox….should I be expecting , um, don’t leave home results? hahaha! I got too much stevia in it this morning, but otherwise it was yummy…is the stevia for any purpose other than sweetenimg? Could i ake it without and then add xylitol? You can gladly use any low-glycemic sweetener of your choice, Tammi! T of golden flax is tbsp? this looks yummy! can’t wait to try. You had me at Slime! Briana I LOVE your recipes and your bolgs… I was wondering if this could be made with something other than coconut flour… I really don’t like the taste, smell or texture of coconut.. PLEASE HELP!!! After the last month I had a DETOX would be wonderful!! Questions are awesome. 🙂 I believe I have a link to the coconut flour below the recipe. You can also buy it from Sam’s Club in a big 5 lb. bag for a very reasonable price (around $7 I think). THat’s where we get ours. Nuts would be great in this, as would berries. Both would keep this weight loss friendly. If you’re not following the THM plan and not looking to lose weight, any kind of fruit would be fine as well.